Just after New Year, I went away for a week with my family and boyfriend to stay in a Forest Holidays cabin. It’s the second time I’ve had a break with them and both times I have been over the moon. They have nine idyllic locations for you to get away to and plenty of extras you can add to your luxurious woodland cabin stay. The cabins are truly wonderful, and there’s plenty to do whilst you’re away (though I spent most days in my onesie with a book and some food!). The reception area hold quizzes with cash prizes, you can walk around the forest, pay for a spa day in the comfort of your cabin, or play a game on the Wii or Scrabble board provided in each cabin. Aside from the odd trip into the forest, my time was spent either spread out on the sofa with a book, or chilled in the hot tub with a drink. The hot tub is incredible at night with the stars above you – heaven. Meanwhile, I completely lost both my brother and my boyfriend to an electronic helicopter. They spent the majority of their time flying around the forest with numerous crash landings. Still children at heart! The forests were absolutely beautiful. The particular site we stayed on had various forest trails you could walk either on your own, or as a group with the park ranger. We chose to do it on our own so we could take our time and really enjoy it. The views are gorgeous, but man, I found the hills hard work! I’ve only been back a few weeks and already I am having cabin withdrawal symptoms! My boyfriend and I are currently planning a summer trip there and I am beyond excited to go back for a third time. You can check out the Forest Holidays website here, and I seriously recommend you visit, even if just for a weekend. It’s a lovely way to really get out of your own busy mind for a while, and is perfect if you love reading or are, in fact, an author with a deadline. The enchanting surroundings and relaxed layout of the cabin are so appealing, and with no other commitments, the days are wonderfully long. 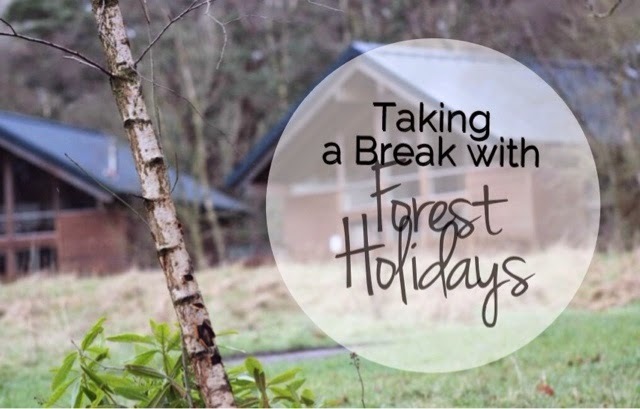 Been to a Forest Holidays cabin or planning on going? Let me know in the comments below.